Hopefully, I’ll get a picture of it before it gets devoured! Enjoy your holiday preparations, however simple or complicated they may be! I’m in catch-up mode. This is so sweet! The brush is so perfect … and it is all so simple! So good to see something fresh and juicy at this time of year. Merry Christmas to you both and to Charles and Angus too. Enjoy your day! We’re in Florida, Sandra, so we got our strawberries from Plant City! They’re lovely. Thanks for your visit and have a wonderful Christmas! Merry Christmas Sherry! I’m envious of your time on your vessel. I miss ours. Unfortunately, we never got to spend as much time as you are aboard. Be safe and enjoy your time at sea (or the dock)! Red and green are so good together, especially in these soft shades! 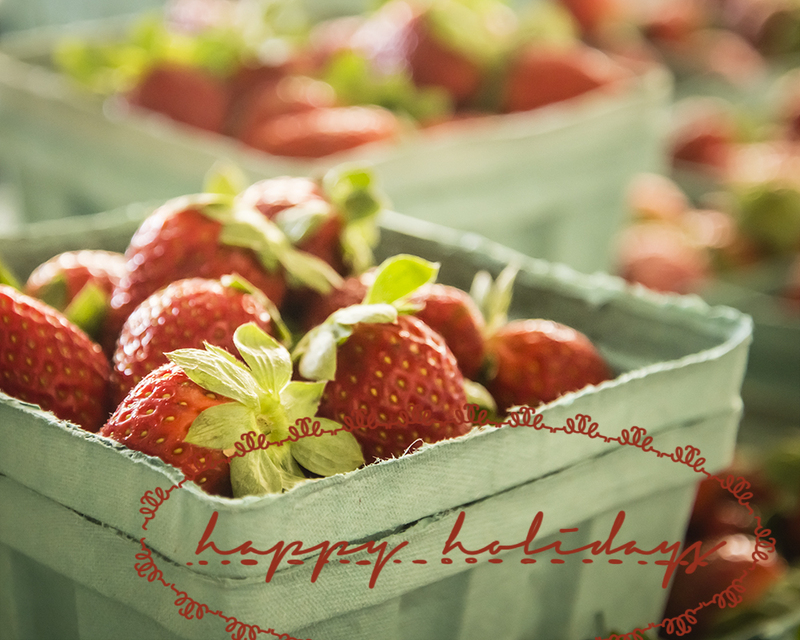 I can’t help wondering where strawberries in December come from! Trifle is one of my favourite desserts and yours sounds delicious! That trifle sounds delicious and I bet it’s beautiful once assembled…hope we get to see it! Beautiful red for Christmas, Merry Christmas on your boat. Sure sounds yummy to me, Sherry! Yes, do a photo before you get into it.